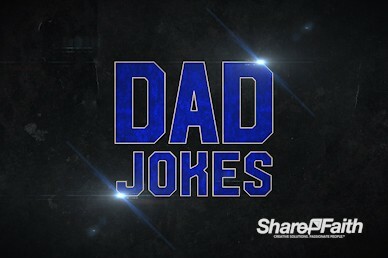 While "dad jokes" are typically known for being terribly cheesy (or cringe-worthy, even), watching dads crack up at their own corny jokes can definitely make the laughter contagious. 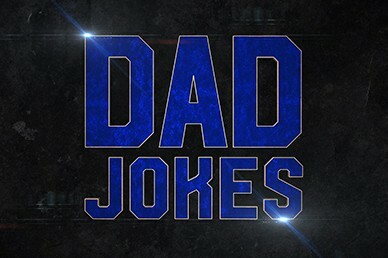 This Funny Dad Jokes Father's Day Video Pack features a hilarious video of men reading dad jokes and then captures their reaction to the punchline. 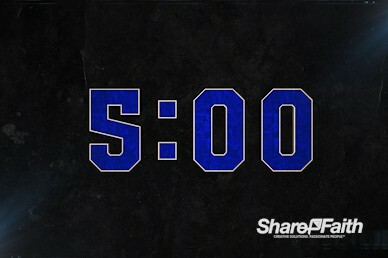 In addition to that, this Funny Dad Jokes Father's Day Video Pack also comes with everything you need for Father's Day service bumper videos with matching welcome, goodbye, announcement, and title motion loops, as well as a church countdown timer. Looking for more dad joke material to use in your church's Father's Day service? Be sure to check out these Top 15 Dad Jokes From The Bible!